Researchers at the University of South Florida reported today a new view of how stem cells may help repair the brain following trauma. In a series of preclinical experiments, they show that transplanted cells appear to build a "biobridge" that links an uninjured brain site where new neural stem cells are born with the damaged region of the brain. "The transplanted stem cells serve as migratory cues for the brain's own neurogenic cells, guiding the exodus of these newly formed host cells from their neurogenic niche towards the injured brain tissue," said principal investigator Cesar Borlongan, PhD, professor and director of the USF Center for Aging and Brain Repair. Based in part on the data reported by the USF researchers in this preclinical study, the U.S. Food and Drug Administration recently approved a limited clinical trial to transplant SanBio Inc's SB632 cells (an adult stem cell therapy) in patients with traumatic brain injury. 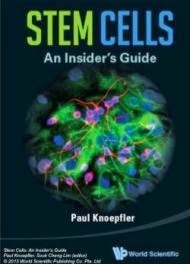 Stem cells are undifferentiated, or blank, cells with the potential to give rise to many different cell types that carry out different functions. While the stem cells in adult bone marrow or umbilical cord blood tend to develop into the cells that make up the organ system from which they originated, these multipotent stem cells can be manipulated to take on the characteristics of neural cells. To date, there have been two widely-held views on how stem cells may work to provide potential treatments for brain damage caused by injury or neurodegenerative disorders. One school of thought is that stem cells implanted into the brain directly replace dead or dying cells. The other, more recent view is that transplanted stem cells secrete growth factors that indirectly rescue the injured tissue. The researchers then conducted a series of experiments to examine the host brain tissue. At three months post-traumatic brain injury, the brains of transplanted rats showed massive cell proliferation and differentiation of stem cells into neuron-like cells in the area of injury, the researchers found. This was accompanied by a solid stream of stem cells migrating from the brain's uninjured subventricular zone -- a region where many new stem cells are formed -- to the brain's site of injury. In contrast, the rats receiving solution alone showed limited proliferation and neural-commitment of stem cells, with only scattered migration to the site of brain injury and virtually no expression of newly formed cells in the subventricular zone. Without the addition of transplanted stem cells, the brain's self-repair process appeared insufficient to mount a defense against the cascade of traumatic brain injury-induced cell death. The researchers conclude that the transplanted stem cells create a neurovascular matrix that bridges the long-distance gap between the region in the brain where host neural stem cells arise and the site of injury. This pathway, or "biobridge," ferries the newly emerging host cells to the specific place in the brain in need of repair, helping promote functional recovery from traumatic brain injury.